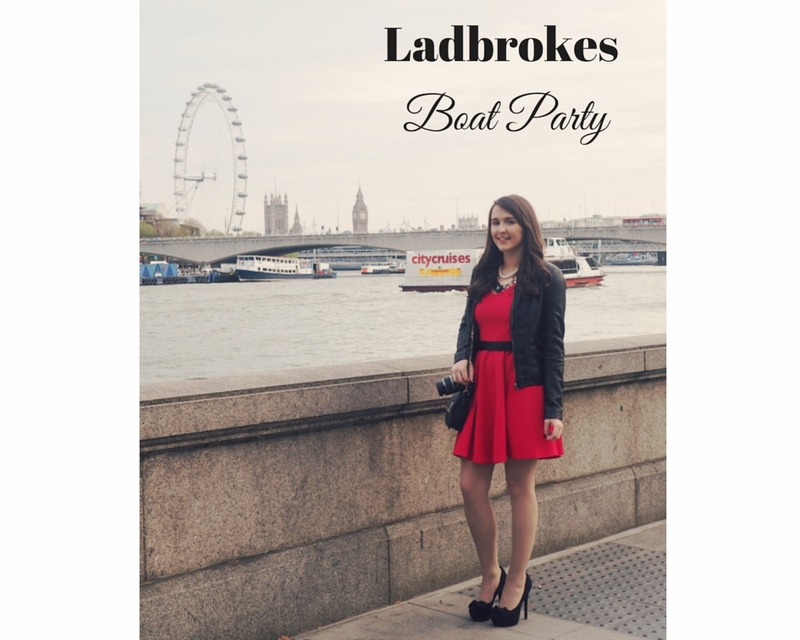 It's always exciting to get invited along to blogging events, but when I opened the email about the Ladbrokes boat party on Thames, I just thought wow! 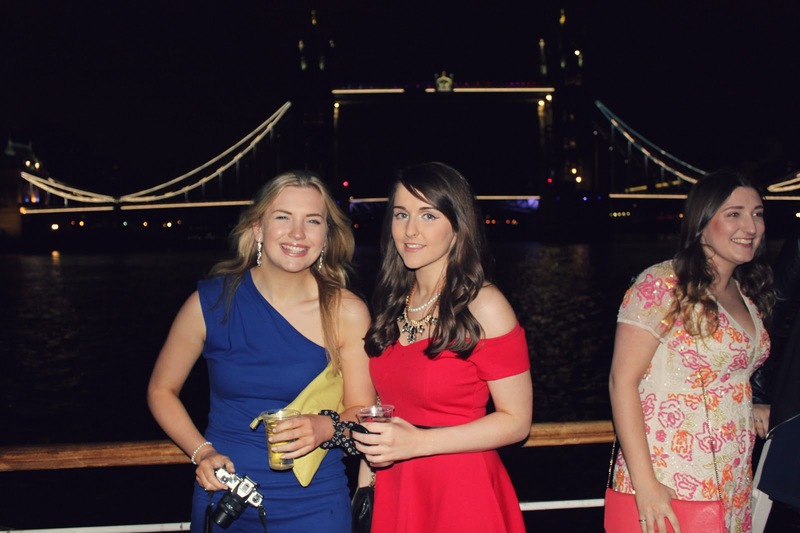 I'd never been to a boat party before in my life, in fact I'd never even seen the Thames on my few trips to London, so you can imagine my excitement. 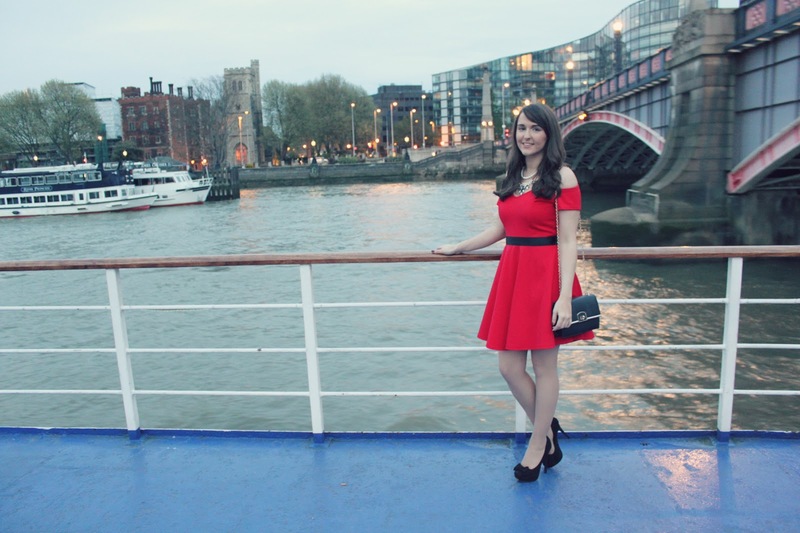 The theme for the night was James Bond/glamorous - so after scouring the internet I found a pretty off the shoulder red dress from Missguided, which I thought was perfect for the occasion (and a mega bargain too at just £20!). I wore it with some very cute black New Look bow heels (which I only found the day before! ), a black belt, a jewelled statement necklace from New Look & a black Accessorize bag. I also threw on a leather jacket, adding a bit of edginess to the glam look! So, the day started off slightly stressful, I managed to get locked into our flat and ended up having to ring a locksmith to let me out (byeee £117 I didn't have eeek! 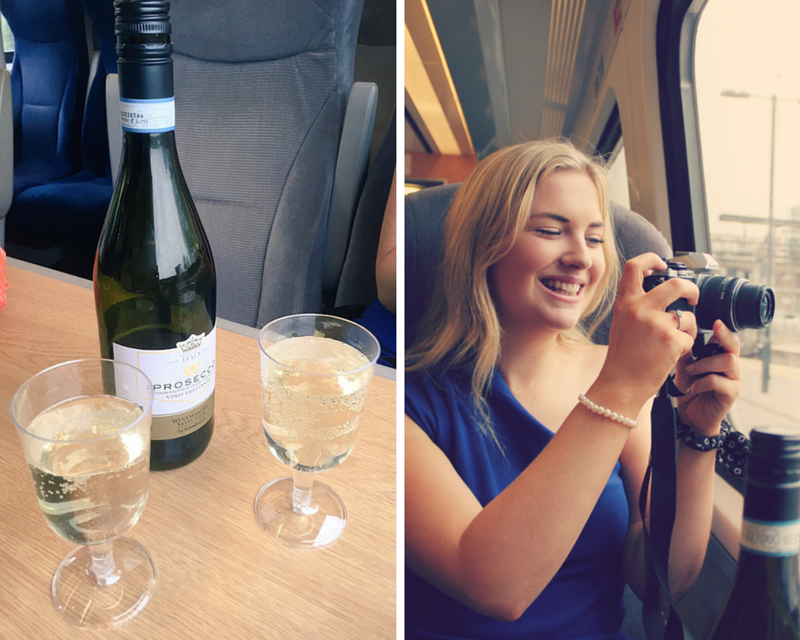 ), but before I knew it I was on the train to London Kings Cross, relaxed and drinking prosecco with the lovely Sarah from What Sass Says! 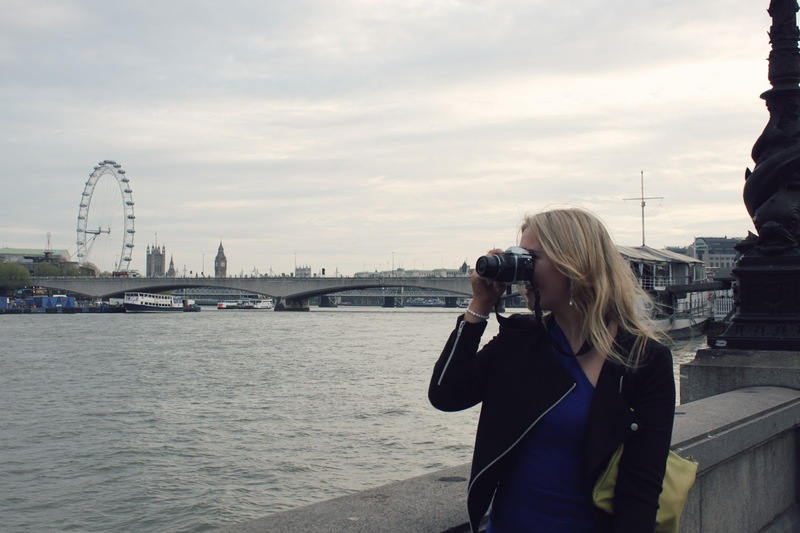 When we arrived in London I went straight into tourist mode (even getting genuinely excited to go on the tube!). After a short journey we arrived at Victoria Embarkment, which had an absolutely stunning view of London! Cue the cameras! 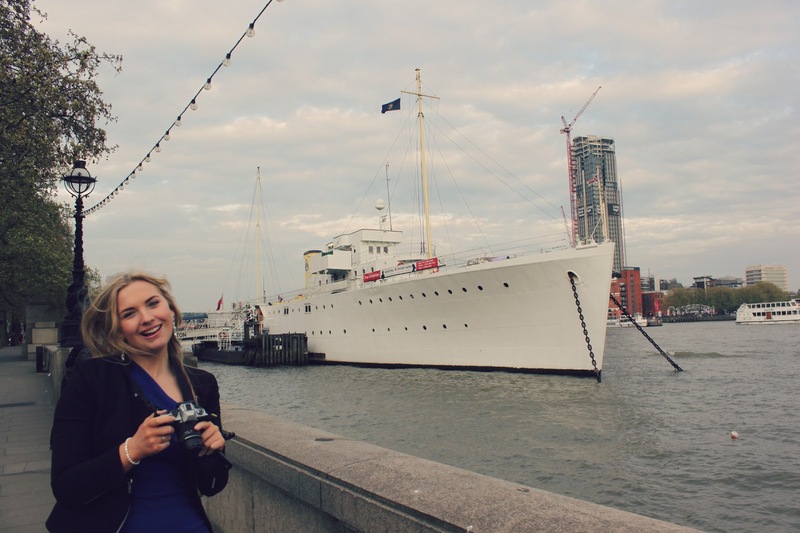 After taking a few snaps, we walked around the dock to find our boat, and stood chatting with the excited crowd of bloggers which gathered outside. Whilst waiting it suddenly occurred to us that the 11.30pm train we'd booked back would be pretty tricky to get to, considering the boat didn't dock till 12pm! Oops! So after a bit of a panic we ended up booking ourselves onto the DREADED Megabus that left London at 1am and got to Leeds at 6am!! 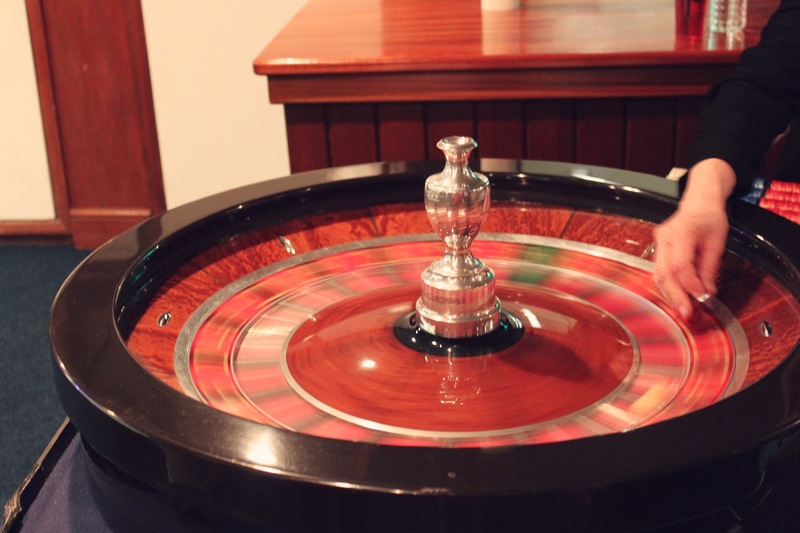 During the event we were given £100 worth of chips to play at the different tables of the on board casino, an endless supply of wine (wheyyy!) and a lovely food buffet to enjoy. There was even a magician on hand to wow us even more! When it comes to gambling I can understand why there is a stigma, not surprisingly with how addicted some people can get, but I personally don't think there's anything wrong with a few cheeky bets - in moderation! I don't bet that often but when I do I set myself a limit and then think - Ok, I'm prepared to loose this £20 for a bit of fun - if I win great if not then that's ok! I think that's the safest way to gamble really! 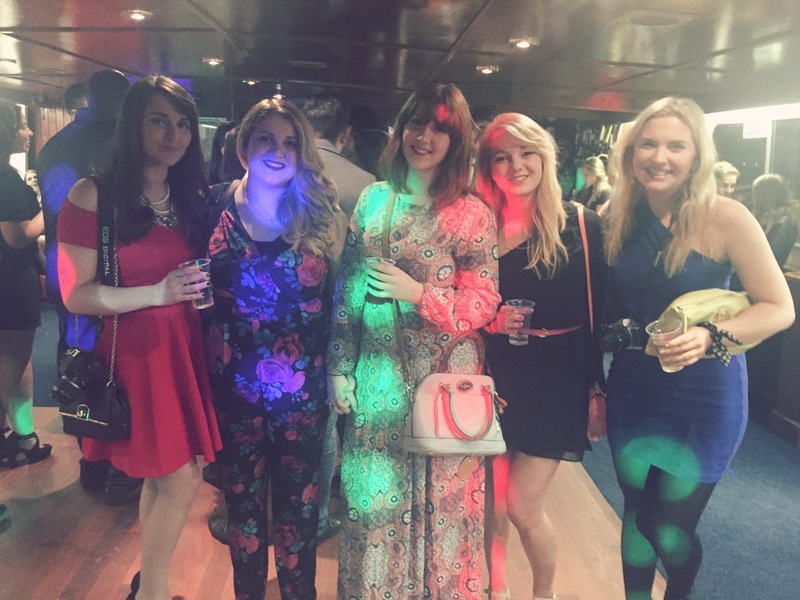 We ended up chatting to so many lovely bloggers during the evening, and even got to dance when the DJ set started (there were points when I wasn't sure wether to blame the boat, the heels or the wine for my bad balance/wobbly dance moves!). When it got dark the view from the deck was even more amazing than before, with lights from the London Bridge and the London Eye lighting up the sky. We really didn't want it to end! And that was our fabulous night! 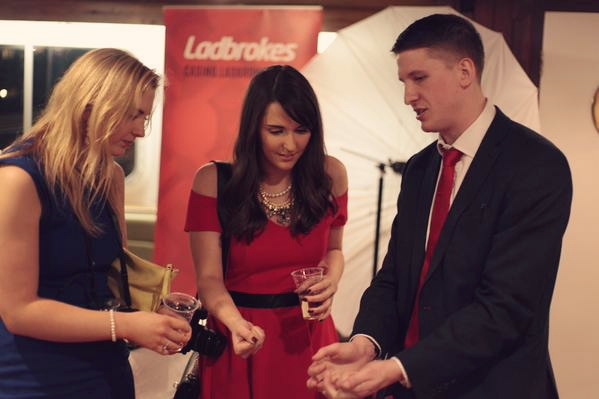 Just want to say a BIG thank you to Chloe from Best British Bloggers for inviting us, and of course to Ladbrokes for putting on such a fantastic event! If you want to see more posts/pics from the night then just search the hashtag #ladbrokespartylife on Twitter where there's plenty! 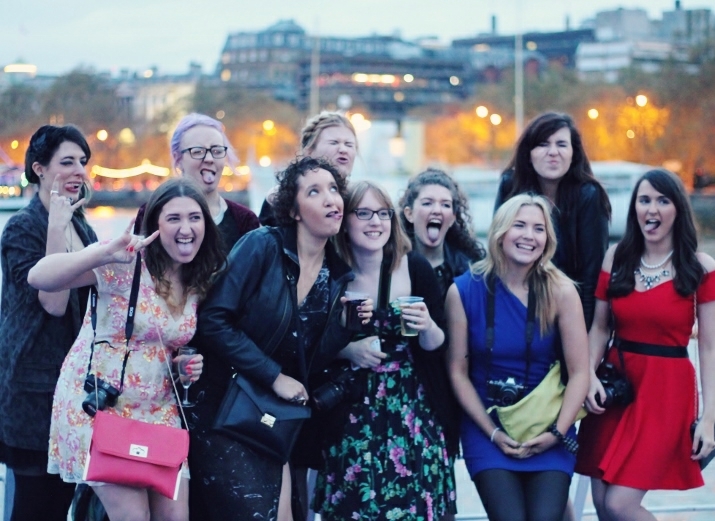 I'll leave you with one last pic of us all on the dec (looking slightly crazy haha!). I knowww I didn't even sleep on the way home haha! 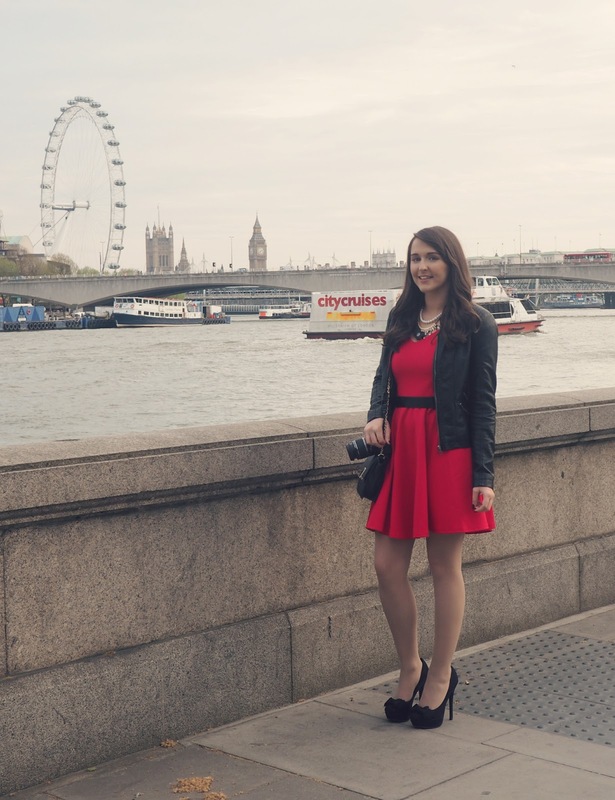 Then had to be up on Saturday for another bloggers event. Think I was a walking zombie! Aw such a fun night! I love your write up! Hehe what re we like booking our train for 11.30!! Oh my your makeup and outfit is gorgeous! Looks like an amazing night out! looks like you had a great time, love those shoes! Looks like you were having a fantastic time. Love the chic and elegant outift,. Looks like a nice night + that dress is so pretty! 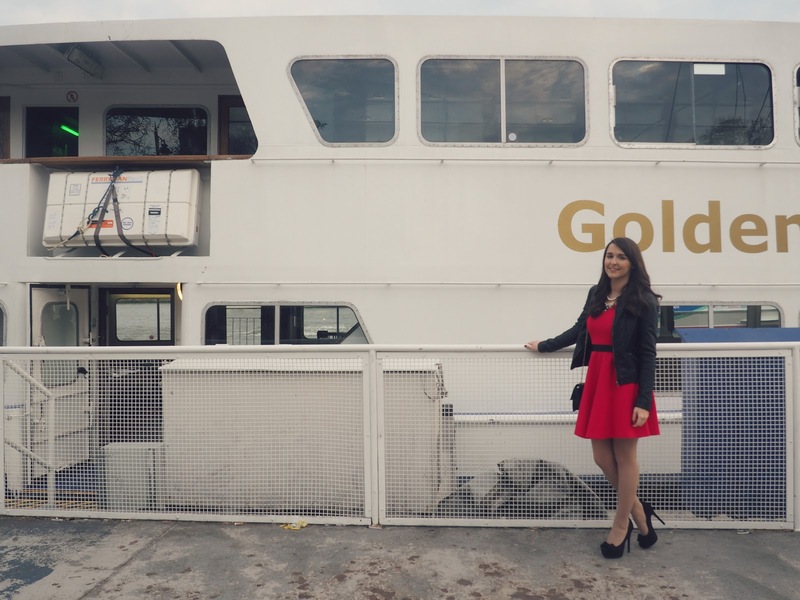 I would totally love to go to a boat party! You look amazing in red :) I love your dress! This must've been so much fun! 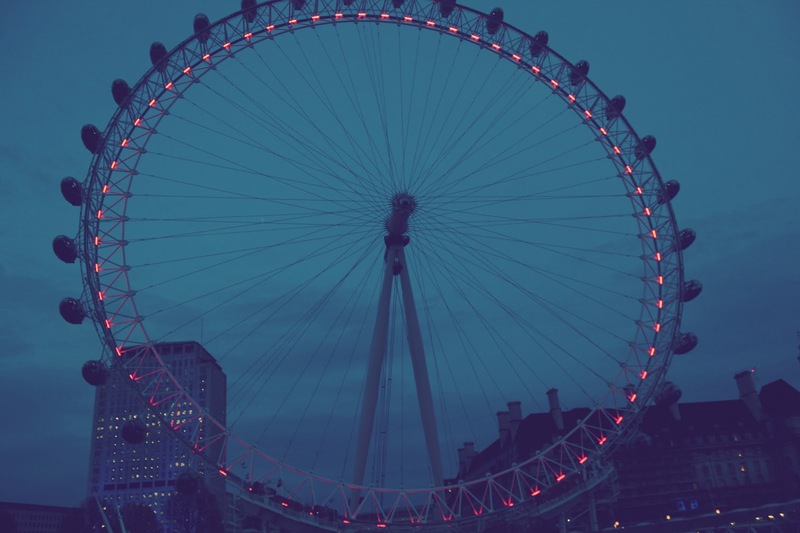 London is definitely on my to do list! Gorgeous dress and view! The dress looks so glam! I need to invest in dresses for my holiday...basically bye bye wages. Your make up also looks fab.